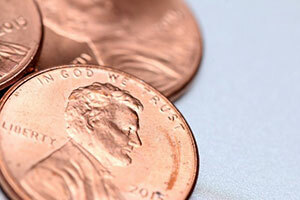 Many myths surround penny stocks, which affects how you find the best penny stocks to buy today. One is that they are a trap for the unwary – a tool to separate investors from their money. The other is that they are investments of little worth, almost certain to lose in value. A myth is worth nothing if it's left unexamined. So myths need to be put under a microscope. It would be foolish to say that penny stocks have never been a trap for the unwary. In fact, they have been subject to scams in the past. One example was 2014's CYNK Technology Corp. (OTCMKTS: CYNK). From mid-June to mid-July, the share price skyrocketed from $0.10 to about $22. That's a nearly 22,000% rise if you're counting. In fact, CYNK had no revenue. It had no assets at all. In the year of its stock price run-up, it never filed an annual report with the U.S. Securities and Exchange Commission (SEC). The stock was suspended and the SEC began an investigation. In fact, CYNK was a classic pump-and-dump scheme. What's a pump and dump? Unscrupulous promoters hype a penny stock (the pump). They contact investors via email or phone, touting the company and often citing inside information that will make investors rich. The investors buy. The stock price goes up due to buying interest. Then the original investors sell and reap the profits (the dump). The enticed investors are left holding a bag that's virtually worthless, because there has never been a business. The scams set the stage for the second myth, which is that penny stocks are bound to be worthless – shells that, had investors looked carefully at the financials, would have been revealed to have no assets and no revenue. Frankly, the nature of penny stocks has fed into Myth No. 2. Many penny stocks are engaged in research and development for new products in cutting-edge markets. R&D companies sometimes go years without solid revenue, because their products are under development, not for sale. They may report earnings in negative figures. But not all companies whose revenue and earnings streams are not robust or in the negative are scams. Some are very legitimate businesses whose position in the R&D pipeline could result in a handsome reward for investors once the products come to market. They are the top penny stocks to buy now. Moreover, the returns on penny stocks themselves can be very good. Every week, Money Morning publishes a list of the top penny stock performers. A number of them return from 25% to 500% or more on the week. It must be understood that penny stocks are volatile and speculative. Their share performance can plummet just as much as it can rise. But their performance also has the potential of providing investors with very good gains. If the myths contain a piece of the truth about some penny stocks, they are also entirely false about others. Penny stocks can give patient and risk-tolerant investors excellent returns. Just as investors need to know the financial and product picture for stocks that are not micro caps, so they need to know the financial and product picture for penny stocks. They also need to know how to protect themselves against the risk of penny stocks – the scams and stocks that are simply not good investments. So, what does an investor do to explore the top penny stocks to buy now? The first way to protect yourself is to do research on the companies you are interested in. Read investment reports on the companies if they're covered by the investment community. Ask for the Annual Report and the financial statements. Look at what the business leaders are being paid. Many companies have websites with transparent information. You can also write or call and ask for information. If you can't find it, or the company doesn't respond to your requests, consider it a warning signal. Many penny stocks trade on the Over-the-Counter Bulletin Board or the Pink Sheets due to small market capitalization, among other factors. In general, though, the wisest course is to look at penny stocks that trade on the New York Stock Exchange or the Nasdaq. Both of these exchanges have more stringent reporting requirements. Generally, the stocks have a larger market cap within the micro-cap universe. Trading on a major exchange is a sign of maturity for a company. It's generally easier to find information for companies that do. The R&D penny stock companies are engaged in can result in innovative products with a strong market need. That can make them top penny stocks to buy now. Ekso Bionics Holdings Inc. (OTCBB: EKSOD), for example, makes exoskeletons that make it possible for people who cannot walk or move with ease to move by donning a "wearable robot." Its products are designed for disabled people, including amputees and soldiers. Recently, the FDA approved one of its products for use with patients who have spinal cord injuries and hemiplegia (paralysis on one side of the body caused by strokes) as well. The Human Augmentation market is a particularly fast-growing one, and Money Morning Chief Investment Strategist Keith Fitz-Gerald believes that Ekso's share price could reach $21.85 by 2020 due to the demand for its products and the growth of its markets. That makes it one of the top penny stocks to buy right now. Barron's also believes that Ekso has "first mover advantage in the field of exoskeletons." Time magazine has also positively covered the company's products designed to reduce strain on the body for people who need to bend and lift constantly, such as construction workers. Innovative products in technology and biotechnology, in addition to being potentially valuable in themselves, can make larger companies strongly interested once the products come to market. Their interest can lead to buyouts or mergers – which, in turn, can make stock prices advance smartly. One of the chief methods investors can use to protect themselves from the downside volatility of penny stocks is to keep their portfolio allocation for penny stocks to a minimum. Fitz-Gerald recommends that no more than 2% of one's portfolio be in just one penny stock, and that penny stocks overall constitute a small percentage of a complete portfolio. Interested in more of our coverage of top penny stocks? Check out our free report: This Penny Stock Will Double Your Money — and Save a Dying U.S. Industry.